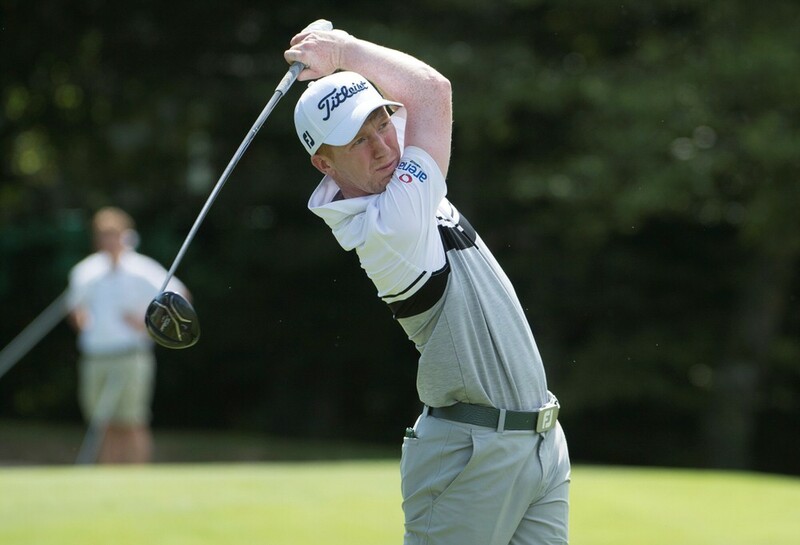 Gavin Moynihan will hope to make it a glorious homecoming as he targets a maiden Challenge Tour victory at the Irish Challenge hosted by Mount Wolseley Hotel, Spa and Golf Resort. The Dubliner is attached to this week’s host venue and will tee it up on home soil as the highest-ranked Irishman on the Road to Oman, currently 27th in the Rankings. Moynihan will turn 23 on the final day of the tournament and would love nothing better than to celebrate his birthday by lifting the trophy. “The goal for me for the rest of the season is to win an event,” he said. “Obviously to win at Mount Wolseley would be great, then there are some big events after so it would be nice to be able to put on a good show in them too. “Winning is the aim though. You’re obviously trying to finish as high as you can every week but with not too many events left it’s even more important to get the good results so if I could win this week it would be great. A victory for the former Irish Amateur Champion and 2015 Walker Cup winner would cap a breakthrough season as a professional for Moynihan two years after he joined the paid ranks. He has missed only one cut all year, with highlights including a runner-up finish in the Andalucía Costa del Sol Match Play 9, a victory in the EuroPro Tour’s Lookers Championship and an outstanding top 15 in the Irish Open – earning him a cool €84,505. With the top 15 in the Road to Oman Rankings earning European Tour cards at the end of the season, there is everything to play for and, with just six events remaining after this week, Moynihan is excited to be starting his final push on home soil. “I’ve been looking forward to this week for the last two months or so,” he said. “I played the course a couple of weeks ago and it was in great condition. “I missed the cut by one I think two years ago but I didn’t play great last year so I’m looking forward to doing myself justice this year, and obviously being attached to Mount Wolseley makes me want to put on a good show as well. “It should be a good week, it’s always nice to be playing in an event in Ireland, it’s only about an hour from my house as well – I’m staying on site but I’ll have a fair amount of support coming along I’m sure. Other notable Irishmen in the field this week include Waterford’s Gary Hurley and Naas’ Conor O’Rourke, who is making his professional debut. Another man joining the paid ranks is David Boote, fresh from the once-in-a-lifetime experience of representing Great Britain & Ireland in last week’s Walker Cup – the Welshman emerged in credit despite the team’s defeat by winning his Sunday singles match. Julien Guerrier arrives as the highest-ranked player in the field, second on the Road to Oman, and will be looking to cut the gap to leader Aaron Rai with another strong performance. Other notable names in Carlow include Bradley Neil and Chase Koepka, currently seventh and eighth in the Rankings respectively, as well as Steven Brown, whose third place last week took him back into the top 15. Birgir Hafthorsson will tee it up for the first time since taking a maiden Challenge Tour title at the Cordon Golf Open while last week’s Bridgestone Challenge winner Oscar Lengden is also in the field.